Chiswick. In the heart of the community. 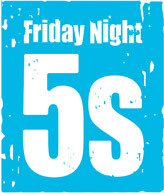 Friday Night 5s held its first match at Rocks Lane Chiswick in 2009 and has gone from strength to strength ever since. We now attract more than 1200 keen youth footballers every Friday evening during term time – making it the most popular such league in West London. 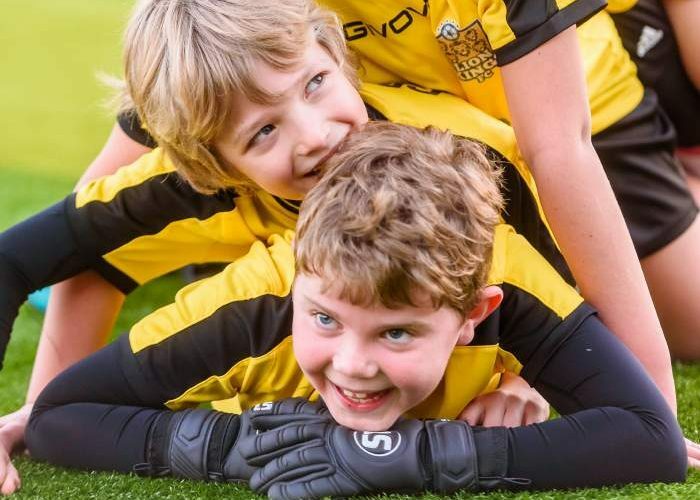 Built on Friendship, Fair Play and Fun – our Friday evening kids football leagues take place at our own Chiswick Common venue, which features a newly-built state-of-the-art Café, Soft Play and Changing Rooms. 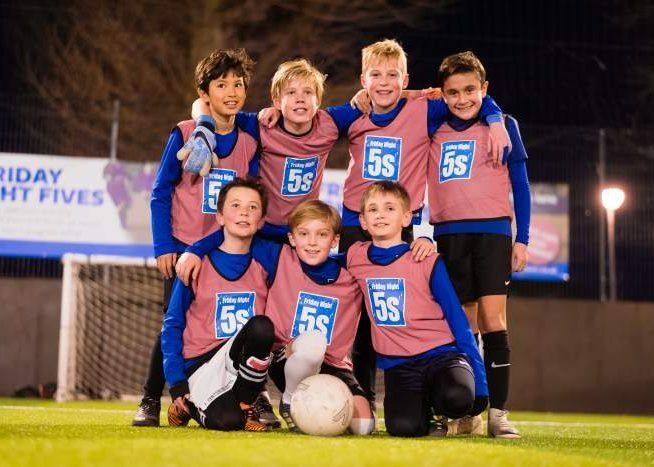 Friday Night 5s are a key fixture within Chiswick community life for children and their parents alike – featuring 150 junior teams playing over almost 5 hours across 11 floodlit pitches. From the moment the whistle blows for kick off from 4pm, the atmosphere of fun and camaraderie is palpable amongst the junior teams, and a real social occasion for many parents too! We often hear from parents and children that Friday Night 5s in Chiswick is a very different experience to what they might encounter in a weekend league. 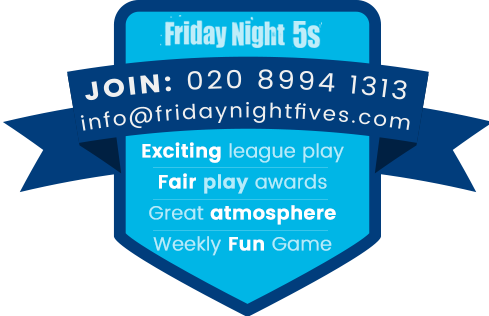 Friendship, Fair Play and Fun are the values of Friday Night 5s because they are so important to those who takes part. Our Match Rules and Code of Conduct for Players, Parents and Coaches are there to champion Fair Play in the spirit of the game and ensure Fun for all – win, lose or draw. Referees assess all matches for Fair Play and a Fair Play Award is given at the end of every week. We are delighted that Falcons Pre-Preparatory School For Boys are Proud sponsors of our Friday Night Fives Fair Play Award. Chiswick is our most popular Friday Night 5s location. We kicked off at Rocks Lane Chiswick on Chiswick Common in 2009 with just 4 teams. Today we regularly attract 1200 junior footballers every Friday evening, playing on our 11 pitches, it’s an incredible atmosphere! The whistle blows for School Year 1 Friday Night 5s matches at Chiswick from 4pm. Matches last roughly 40 minutes each until our School Year 11 games are the last to kick off at 8.40pm. Our experienced team of 11 referees and 8 coaches ensure everything runs smoothly, rain or shine! We hold our High 5s Netball Leagues at the same time, allowing more to compete and enhancing the atmosphere further. 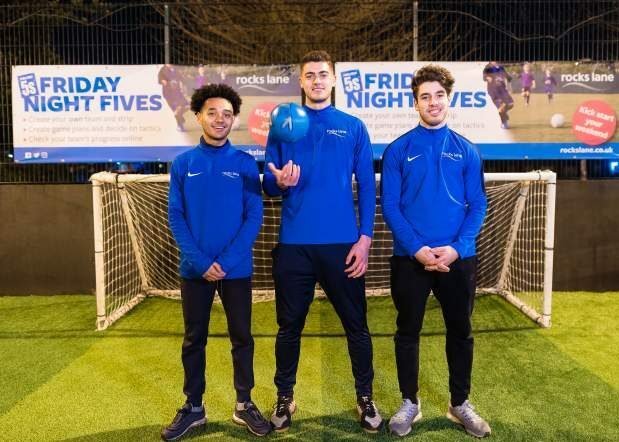 Friday Night Fives teams of all ages that are keen to progress their abilities can work with one of the coaches we have here at Rocks Lane Chiswick.